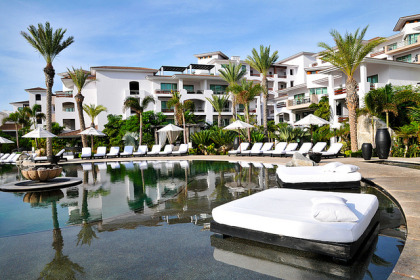 Can you see yourself vacationing in a luxurious resort on a sugar sand beach overlooking the Sea of Cortez? 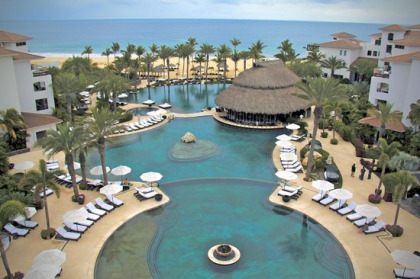 We can help you make it happen with a great deal on a Cabo Azul Resort and Spa timeshare resale or rental. 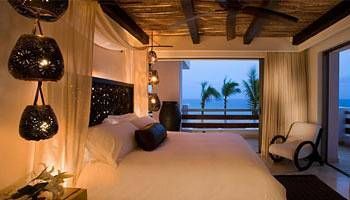 Located on the beach of San Jose del Cabo, this unique Diamond Resorts property takes the venue’s natural beauty to the next level with distinctive interior décor by designer Dodd Mitchell. Offering space that is fresh, serene, and designed to maximize natural light, the Cabo Azul Resort and Spa timeshare creates an atmosphere that inspires relaxation. Vacation there and tranquility and peace immediately begin to reclaim their proper place in your body, mind, and spirit. 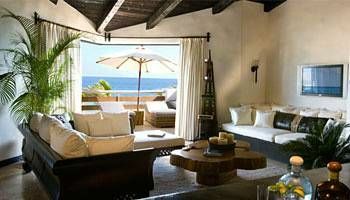 Los Cabos, Mexico was once an undiscovered gem on the sparkling southern tip of the Baja California peninsula. Today this charming city is a favorite destination for weddings, honeymoons, romantic getaways, spa retreats, family vacations, reunions, and retiree travel. With more than twenty miles of incredible shoreline, located between the cities of San Jose del Cabo and Cabo San Lucas, the area known as the Hotel Corridor is alive with beautiful resorts and excellent dining. Exploring Los Cabos’ best-known landmark, The Arch (El Archo), the famous 200-foot-tall rock formation, that lies just off the shore of Lover’s Beach. Sport fishing, renting a catamaran, and or discovering the countryside in outback tours. Sailing or relaxing on sunset cruises. Taking in the Bisbee Black and Blue Marlin tournament. Cheering on the racers in the SCORE Baja 1000 off-road race. Being part of the fun in the sun on Medano Beach, the liveliest beach in Cabo. Perusing art exhibits, craft shops, and galleries. Shopping the upscale stores of The Shoppes at La Pamilla or waterfront shopping at the Marina Golden Zone. Recently renovated and updated, this very special resort is more beautiful than ever, featuring fire sculptures, water features, and artistic interior design and décor. On-property, you will enjoy the convenience of 24-hour security, Wi-Fi, massage services, a spa, on-site car rental, laundry facilities, a conference and meeting rooms, easy access to the beach, a spectacular outdoor swimming pool and hot tub, and your choice of garden view, pool view, or ocean view timeshare villas. 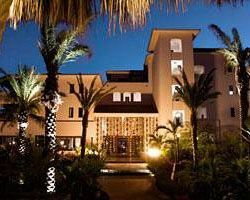 1-bedroom Grand timeshare units with garden view, pool view, partial ocean view, or ocean view. 1-bedroom Grand Deluxe units with garden view or pool view. 2-bedroom Grand units with garden view, pool view, partial ocean view, or ocean view. Penthouse suites with ocean view. Penthouse Deluxe suites with pool view. And Grand Penthouse villas with ocean view. Cabo Azul Resort and Spa timeshare resales and rentals are waiting for you at the discounted rates found only on the resale market (secondary market). 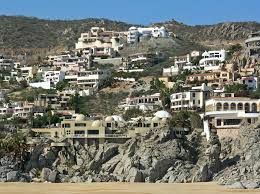 Buy or rent your Mexico timeshare at this exceptional destination and you’ll be loving the luxury, savoring the serenity, and delighted by the dollars you’ve saved. 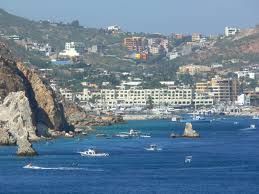 Contact our Mexico timeshare resale specialists. Let us help you start enjoying the good life that’s ready and waiting for you. 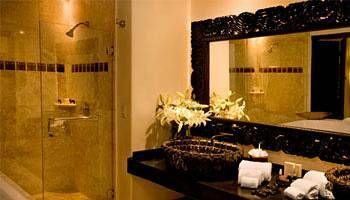 Contact Cabo Azul Resort and Spa Specialist Today!